The One Family One World Project is a partnership between Living DNA and Eupedia (and by extension Wa-pedia) initiated in 2017. The project aims to map the regional genetic variations of the world with a great level of detail and accuracy in order to improve our understanding of both recent and ancient migrations and see how humans are all connected with one another as one big family. Japanese people tend to think of themselves as a homogeneous ethnic group that is only distantly related to other East Asians. Genetic studies have found that are in fact quite closely related to the Koreans and Han Chinese, with a genetic distance between these three populations lower than between many Europeans. But the Japanese are also special by having a gradient of Sino-Korean ancestry ranging from the southwest to the northeast. 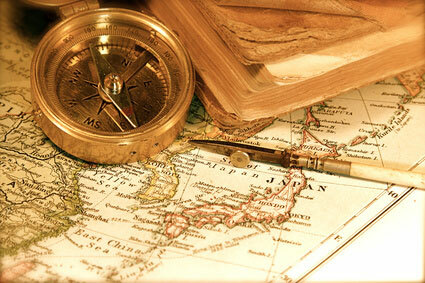 Rolling back history, Japan was first settled by humans over 35,000 years ago, during the Ice Age. This Stone Age population, known as the Jomon, continued to live a hunter-gatherer lifestyle, with considerable fishing and seafood collecting, until about 2500 years ago, when agriculture and metallurgy were brought by a wave of invaders from Korea: the Yayoi people. It took over 500 years for the Yayoi to colonise western Japan, as far as east as the Japanese Alps. Parts of Shikoku and southern Kyushu were not settled by the Yayoi until much later, while Tohoku and Hokkaido remained Jomon territory until well into the medieval period. As a result, nowadays, the percentage of Yayoi and Jomon ancestry varies considerably between regions, with a maximum frequency for Yayoi ancestry estimated in northern Kyushu and western Chugoku, and the highest Jomon ancestry among the Ainus and Okinawans, followed by northern Japan and parts of Shikoku. The Jomon themselves were not a unified ethnicity. There was plenty of time for genetic drift to take place over the 30,000 years of Jomon isolation. There was probably very little contact between people from different islands and regions of Honshu, which allowed for genetic differentiation to happen. The northern Jomon were more closely related to the Ainu and East Siberian tribes, while the southern Jomon had closer genetic affinities with the Okinawans and possibly people of Shikoku too. A study by Kenichi Shinoda (2003) found Chinese-looking maternal lineages (haplogroups A, B, F, M8a and M10) in the Kanto region dating from the late Jomon period mixed with typical Jomon lineages (M7a, N9b). Although this hasn't been completely confirmed yet, this could indicate that farmers from mainland China colonised Japan several millennia before the Yayoi invasion, which would explain why the Japanese also possess typically South Chinese Y-haplogroups not found in Korea, such as O1a, O2a, O3a1c (JST002611) and O3a2 (P201). Modern Japanese people can be said to descend from a variety of prehistoric Jomon tribes, from South Chinese Neolithic farmers, and from Korean Yayoi invaders. 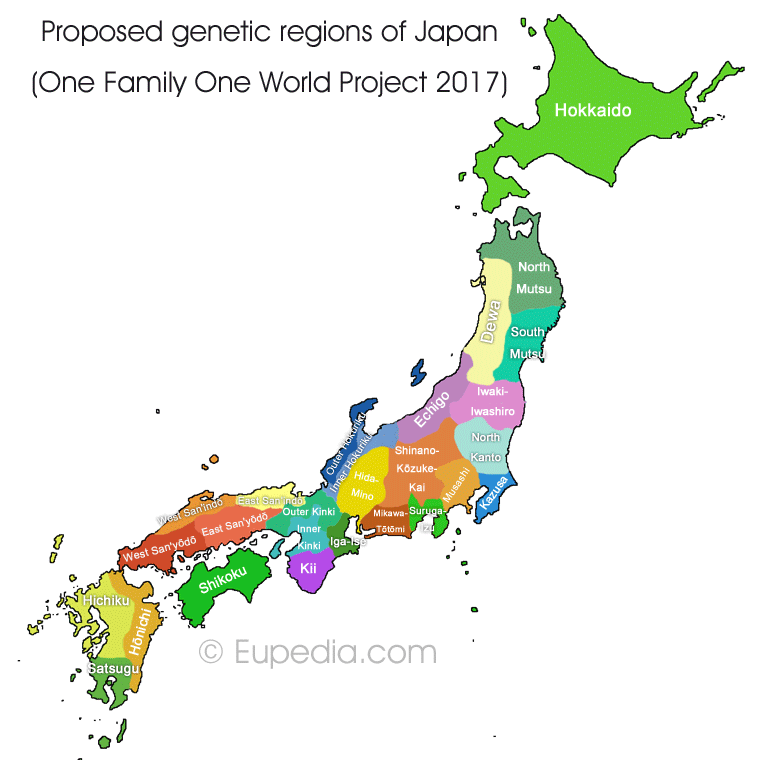 This project aims at unravelling the regional genetic differences between the Japanese and possibly to assess the percentage of Jomon, Neolithic South Chinese and Bronze Age Yayoi ancestry in each region. To determine the boundaries between proposed genetic regions we took into account the areas of settlements of ancient and medieval populations, and the places where the various invaders settled most heavily. We believe that the historical borders of daimyō domains and provinces, as well as the perimeters of the various modern dialects also influenced the way genes spread in the population over time, as people tended to marry much more frequently within the confines of their geographic, political and linguistic boundaries. Our preliminary research indicates at least 27 areas of Japan may have distinct genetic differences. You can join by uploading your genome for free if you already tested it with Living DNA or another company (23andMe, AncestryDNA, MyHeritage, or FTDNA's Family Finder). If you qualify for the second part of the project and don't have DNA results to upload for free, then you will receive a special discount on a Living DNA test should you wish to take part. You can join the One Family One World Project here.